Cliff Richard has been in the news lately with shady accusations that involve minors and many of his colleagues have actually been indicted - but fortunately he remains innocent until proven guilty. Let's hope that he won't be guilty because it would certainly bring a cynical ring to hit singles like this one. 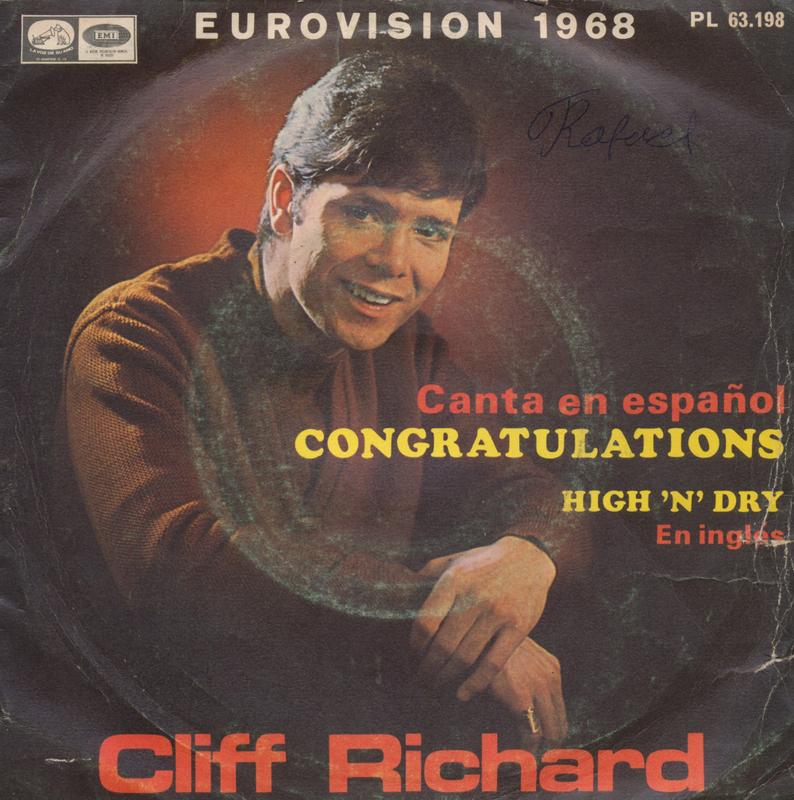 'Congratulations' was of course a Eurovision hit, and although Cliff Richard didn't secure the title in 1968 - the contest was won by Spain with the song called 'La la la' - it certainly became a big hit for him. 'Congratulations' was actually recorded in Spanish, and this Spanish version appears on this single. Cliff Richard and the Drifters recorded 'Living doll' in 1959, with Norrie Paramore producing. 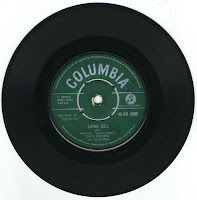 The single reached number 1 in the UK singles chart in July 1959, selling over a million copies. It America, the song reached number 30 in the Billboard Hot 100 chart. 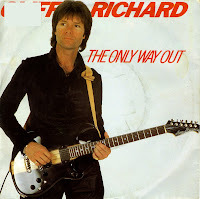 It was Richard's first hit in the Netherlands, reaching number 2 in the charts. Richard re-recorded the song in 1986 with the alternative comedy group The Young Ones for the Comic Relief charity. 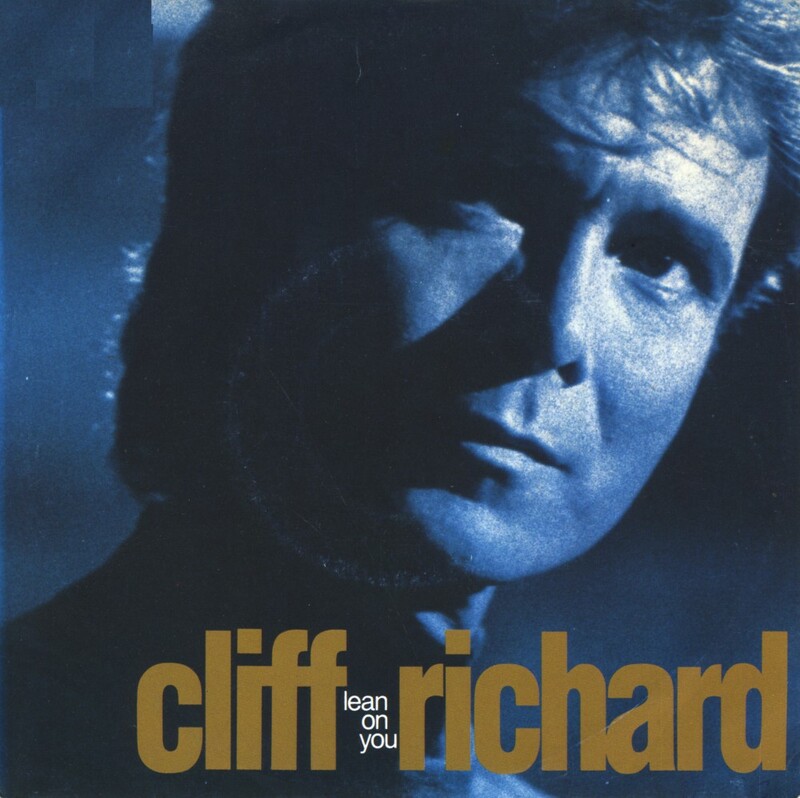 Cliff Richard worked with producer Alan Tarney once again on his album 'Stronger' (1989). The single 'Lean on you' was taken from this album - and personally I think this is one of the best songs of his career. Not that many people agreed with me though: it only charted in the UK, where it peaked at number 17, and Ireland, where it reached number 10. 'Congratulations' was written by Bill Martin and Phil Coulter as the UK entry for the 1968 Eurovision Song Contest. 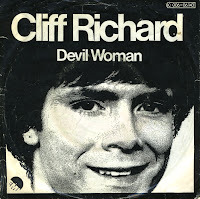 The song was performed by Cliff Richard. The song was immediately popular in the UK and became a number 1 hit both in the UK and the Netherlands. On the day of the Contest, the British press were posing the question: 'What will come 2nd to 'Congratulations'?'. Of course, Cliff Richard did not win, but came second to Spain's entry, the infamous 'La la la' performed by Massiel. In 2008, documentary film-maker Montse Fernandez Vila claimed that the loss was the result of rigging of the Spanish vote by state television on behalf of General Franco's fascist regime. 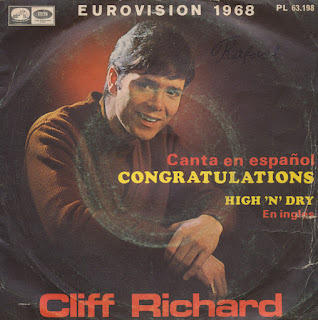 Being a collector of Eurovision Song Contest singles, I was always quite surprised that it was so hard to find the two contributions of Cliff Richard to the Contest - for a reasonable price. 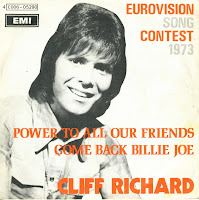 But I've finally tracked down a copy of 'Power to all our friends', Cliff's 1973 song for Eurovision. He represented the United Kingdom at the 1973 Eurovision Song Contest with this song, written by Guy Fletcher and Doug Flett. He finished third, but did end up at fourth place in the UK singles chart and at number 1 in the Dutch Top 40. 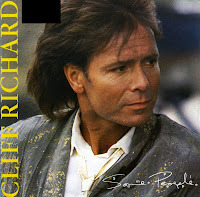 In 1987, Cliff Richard recorded the album 'Always guaranteed', which became his best selling album of all new material. It contained two top ten hit singles, 'My pretty one' and 'Some people'. The album was produced by Alan Tarney, who had been successful with Cliff Richard before. 'Some people' reached number 3 in the UK singles chart and number 4 in the Dutch Top 40. 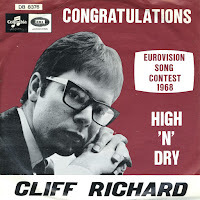 It was Cliff's last top 10 hit in the Netherlands. Chart-wise, this single was a success. It reached number 10 in the UK and Ireland and got to number 13 in the Netherlands. 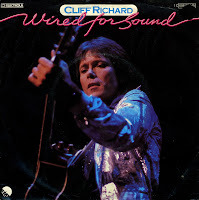 I don't think 'Wired for sound' is regarded as one of Cliff Richard's best singles ever. The lyrics are a bit naff ('I like small speakers / I like tall speakers / If they've music / they're wired for sound') and the music is not revolutionary. After all, it must have been the umpteenth single produced by Alan Tarney. Still, it's a nice little song, and that's why I have it. Cliff Richard is of course one of Britain's living pop legends. These days he's mainly recording Christmas singles - although he quit doing that as well recently I think - and he's still the tall, dark bachelor - although at 68 he isn't really attracting screaming young girls anymore I think.